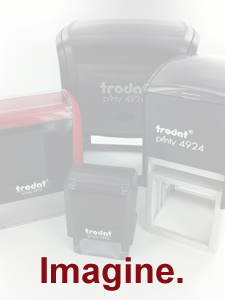 ✔ Great for business cards, large logos, marking promotional bags, products & more! 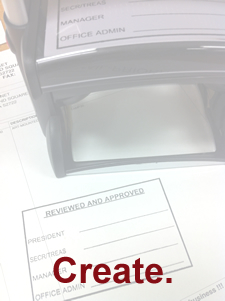 I bought two small self-inking stampers with our corporate logo to use for punch cards. 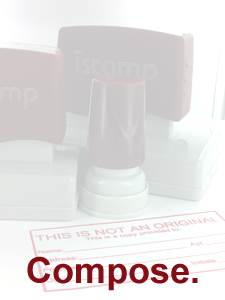 Ordering was easy, the products shipped quickly and the stamps are great quality. Any time I need a stamp in the future, I will give them my business! Ordered custom stamps with my business logo to start branding my products and the level of detail is incredible! Have already recommended this business to a couple of friends and will definitely be coming back. I am a small business owner and don't have a high budget for marketing. Rubberstamps.net helped me create the perfect custom stamp with my business logo that I can use to make my own marketing materials. Absolutely love it and will shop here again. I bought my stamp to use on kraft paper bags. I did not want to purchase bags with a logo imprint from a printing company as the cost was too expensive. 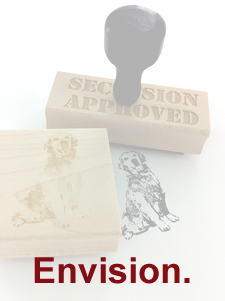 I opted for a customized rubber stamp - I couldn't be happier! I would definitely recommend. I bought a personalized address stamp with my direct sales company logo *tiny* - I didn't expect much from the smaller impression, but it stamps beautifully! I purchased a logo stamp for my Etsy shop. It is a small little business so low cost was a must. I researched other Etsy shops, websites and found Rubberstamps.net. The cost was low, I received my item super fast and I love it! It really makes my shop look more professional. I had a vision in mind and my stamp brought my logo to life. It was exactly what I was looking for. I was super excited to stamp everything as soon I received my package. Crisp stamp design, beautiful black ink!